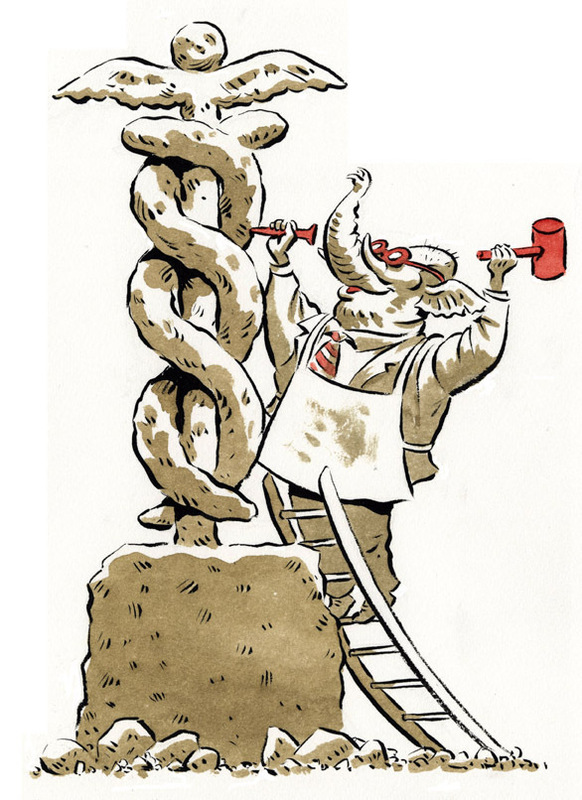 A recent drawing on the GOP attempting to shape an alternative helthcare reform plan. Sweet drawing of a hypocritical horror show. Imagine building your national profile on the idea of taking health care AWAY from people! The accurate portrayal of their plan would be to submit the drawing paper without a single line on it. That would have been too post-modern for them, I guess. Anyway, David, your style shines through the shinola. Well said, Steve, and thanks! Great to see your work on here again, David!